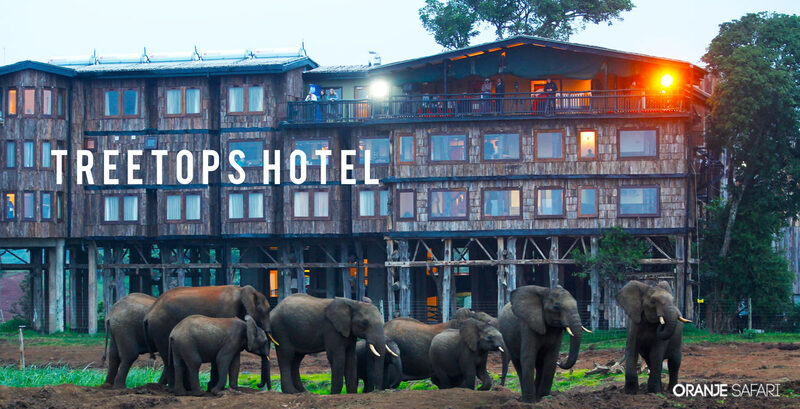 Treetops hotel is in the arberdare national park Kenya 180 km north-west of the capital city of Kenya Nairobi. The Lodge has a large watering hole in the arbardare national park with frequently appearances of elephant, rhino, buffalo, lions, leopard, elad, hyena and a chorus of plains game and minor hunter. The lodge contains 48 rooms and bathroom facilities are shared among the rooms. The hotel also has a good view of the water hole offer game viewing from the comfort of a rustic log cabin. The hotel has torrent, verandah, desks, and ground-level hides. Floodlight provides a constant full moon and you can opt to alerted when any interesting animal arrive at the water hole. The lodge is known as the location where Princess Elizabeth acceded to the thrones of the United Kingdom and the other Commonwealth realms upon the death of her father, King George VI, while she was staying there in 1952.